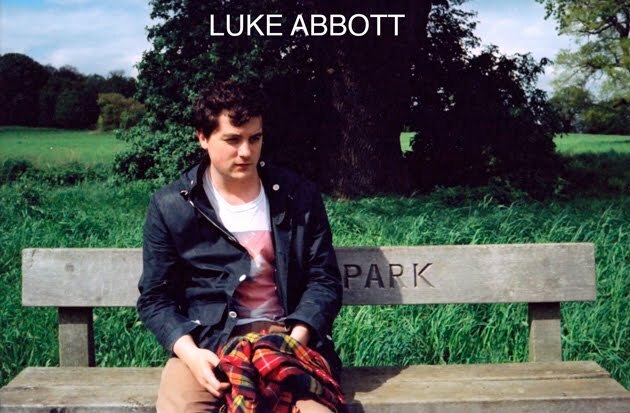 Luke Abbott Music: my new live set. ...this actually works pretty well, the pots are really nice and much more responsive than stupid-awful-slow-backwards endless encodor things. Also, it's really strong cos I got the faceplate machined out of aluminum, so it's much more road-worthy than most other things I've owned. ...heavier, less functional, more prone to damage, more expensive, harder to travel with. Yep, this is less practical than a laptop set in almost every way. But, it sounds better and it's more fun. And I still have to carry a laptop around anyway as all this stuff needs to get it's MIDI from somewhere, and I'm not gonna start gigging with my MMT8 cos the buttons are breaking. Oh well. Soundcraft Notepad mixer - only 50 quid and sounds great, makes nice distortion on the 2 mic channels if you turn the gain up, especially good for adding a bit of weight to kick drums. DSI Tetra - despite the absolutely terrible editing software, this is still the smallest good sounding polysynth you can buy, so I didn't really have much choice. MFB 522 - I love the MFB stuff, it's brilliant. 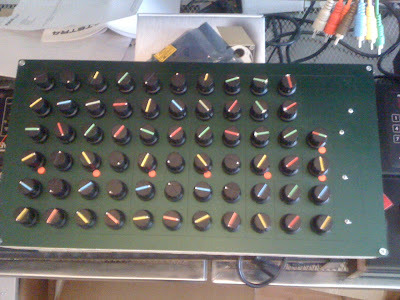 This drum machine is small, light, cheap (for what it is) and it sounds brilliant. I love the kick drum especially. 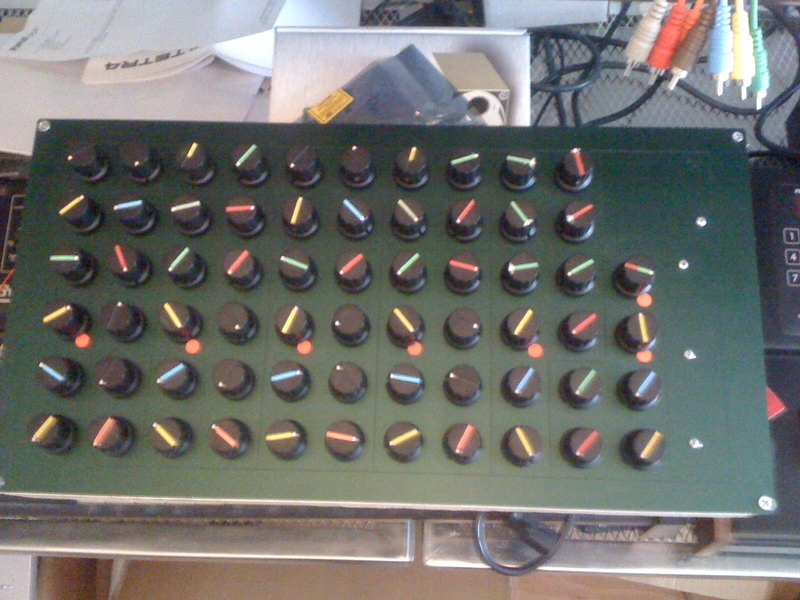 MFB Nanozwerg - just sounds great, this synth is really well thought out, amazing price for what it is. TC Electronic Nova Repeater - I've had a few different delay pedals recently, I never realised how fussy I am about delays... this one is by far the best designed and best sounding one I've found, the way it's laid out make it really playable, it's more like another instrument than an effect. Behringer CS100 - this is a really crap compressor pedal, I bought it at a car-boot-sale for 4 quid, it makes loads of hum and buzz and it distorts things in a very cheap and nasty way, so obviously it's fantastic for doing weird things to drum parts. Splashy popping fuzzy hats and clonky snare hits. 4 quid well spent, I wish I could have found everything at boot-sales. 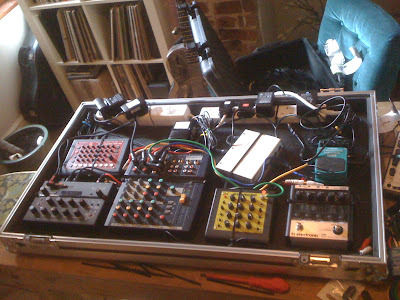 All that in an extra large pedal board to make setting up and gigging a little bit less stressful. Plus, the laptop sending MIDI out everywhere, and a couple of audio channels incase I need to fill-out the sound, and a LauchPad and a FaderFox (the two MIDI controllers that I still like) to control all that.